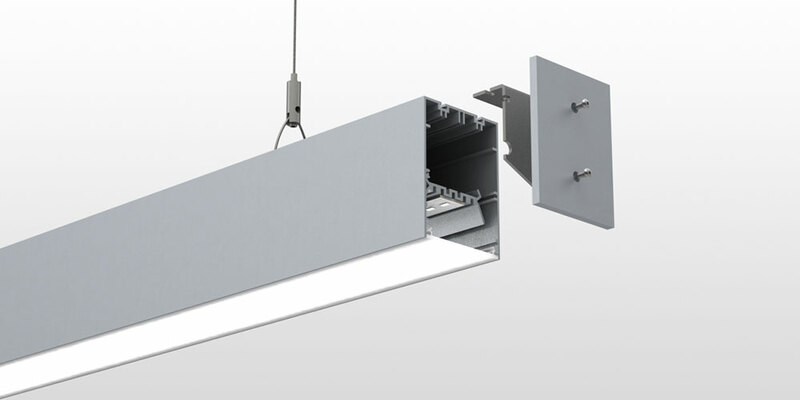 Optelma’s Quad has been selected by Total Lighting magazine as one of the best fittings on the market for good looks and energy saving potential in the office. 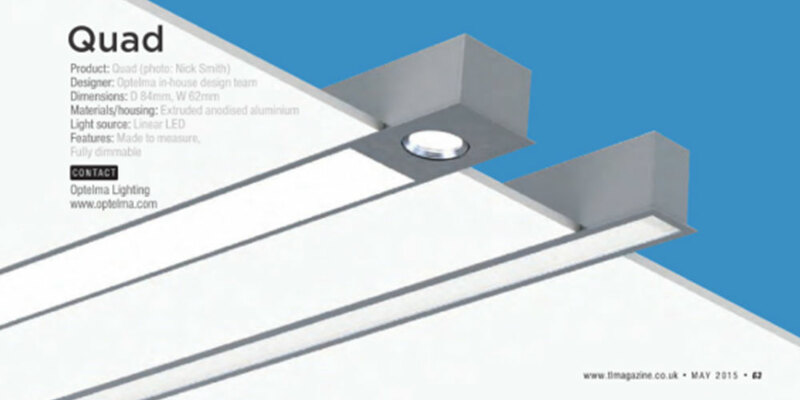 Quad is a made-to-measure extruded aluminium profile that provides a lighting solution with excellent performance and glare control. 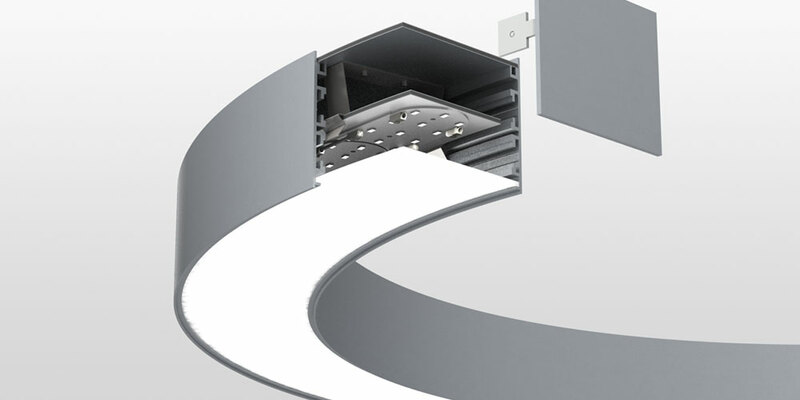 It can also be pre-formed into circles or rounded segments or used in zigzag configurations with bespoke mitred four-way corners. The edges are then plastered-in to create a seamless integrated effect.